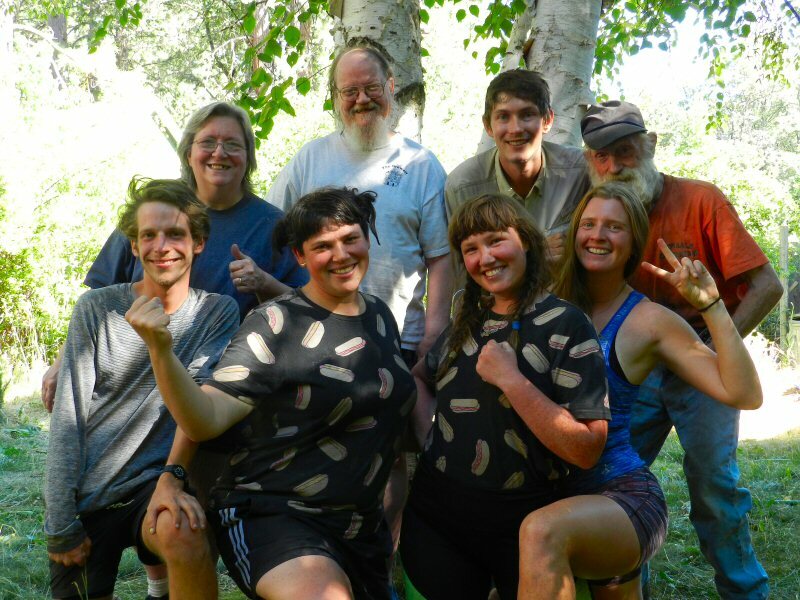 Linda and I had the opportunity to meet five delightful Pacific Crest Trail hikers on Monday, July 10 and to host them for several hours in our back yard. The hikers consisted of three young ladies from Australia named Quiz, Pinecone, and Princess Layers; a young adventurer from London, England named Little Spoon; and a young gentleman from North Carolina named Mushy. 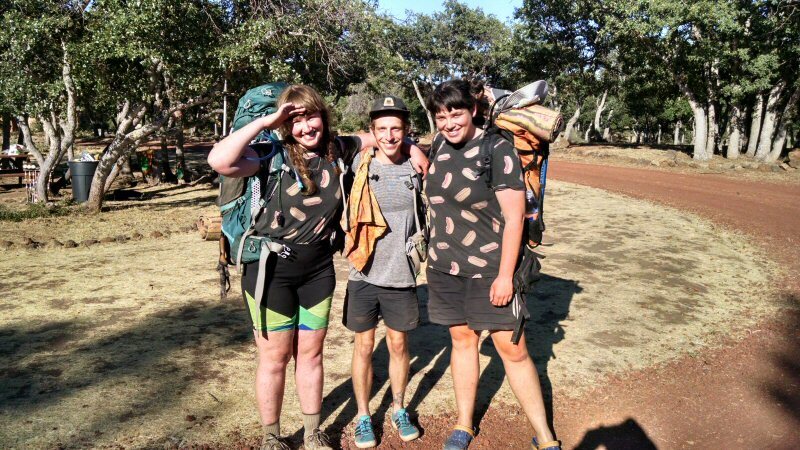 The three Australian hikers are posting blog on their journey named Mental Snakes. Pinecone and Quiz are sisters. Princess Layers has been a friend of theirs since childhood. 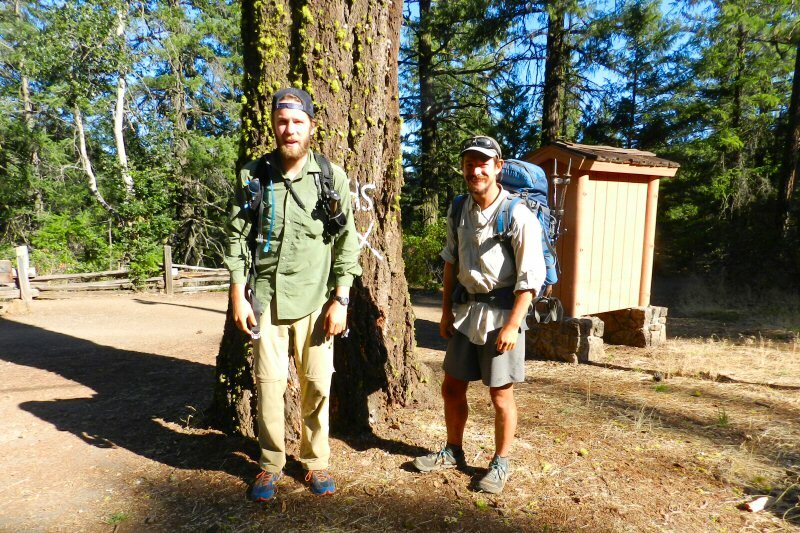 From what I understood, they began the hike together at the southern terminus of the trail in Campo and hiked north through the desert to the Sierras. Along the way they met Little Spoon. The took a side trip to climb to the 14,505 foot summit of Mount Whitney. Little Spoon told of how Pinecone turned blue from cold and oxygen deprivation on the Mt Whitney ascent. Pinecone told us about how her frostbitten lips burst and she had to lace them with tons of lip balm to stop the bleeding at night. As they went further north they faced the same dilemma as thousands of other hikers this year. There was so much snow in the Sierras that most hikers decided to skip hike. This year the PCT is a melee of skip hikers and section hikers pursuing different strategies according to their whims and timetables. This little band decided to split up. Little Spoon and Princess Layers hiked a little further up the trail and then skipped to Quincy to resume their northward trek. They also had a rest break to recuperate. Pinecone and her sister decided to skip to Ashland and then hike south. Before leaving for Ashland or on their way south, they met Mushy who began hiking together with them. 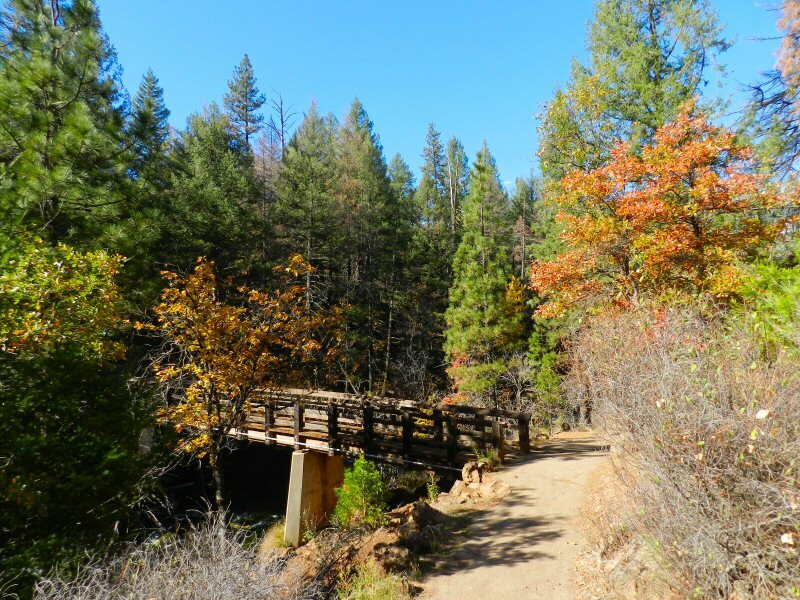 Burney is where they met for a reunion as they crossed paths. This is where Linda and I had the pleasure of entering the story. On our way to lunch at the Senior Nutrition Center, I mentioned to Linda that I had forgotten to bring my camera in case we met any PCT hikers. After lunch we stopped at the Dollar General Store for cat food. I waited in the car. Linda came out really excited saying that she had met two really nice hikers (Pinecone and Mushy) inside. I went in to meet them and ask them if they needed a ride. 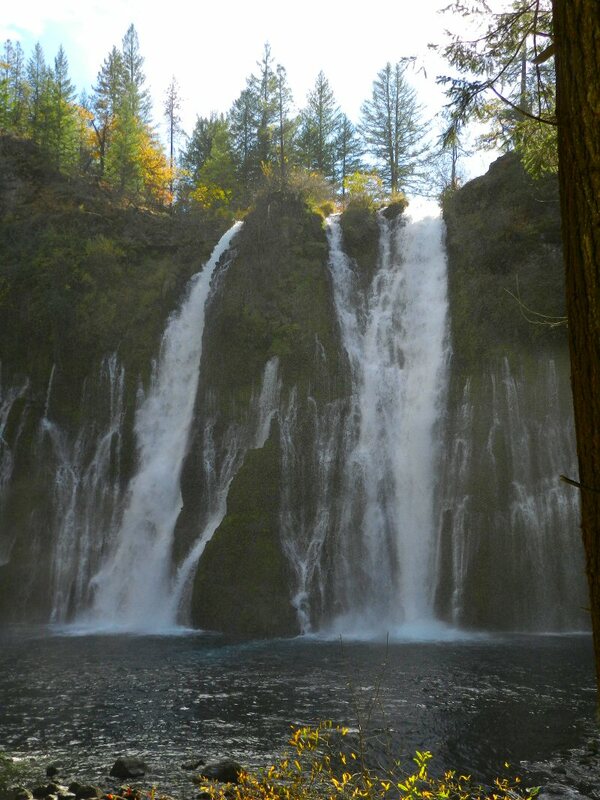 They were undecided whether to go to Burney Falls to meet friends of theirs or to go to Burney Guest Ranch for showers. Also they still needed to go into the Safeway for some more supplies. I told them that I would go home and get my camera while they shopped and then be back to give them a ride wherever they had decided to go. I left Linda at home and headed back to the Safeway. On the way, I thought I would offer them the opportunity to cool off in our pool and shower before they went on their way. And so I did. Pinecone told me that her friends had made it into town and were at the Post Office. She asked if it would be okay to use our back yard as a place to spend some time together for their reunion. I thought that was a wonderful idea. On the phone, Little Spoon told them that they would need about 10 minutes to post mail. Pinecone said they still had more shopping to do. So I headed to post office and introduced myself to Little Spoon and Princess Layers and watched their packs while they took care of business. As well as posting mail, they had also received some resupply. Princess Layers had a new pair of hiking shoes and walking stick replacement. When we arrived at the Safeway, Quiz was there too so we now had five PCT hikers and their packs to fit into the Jeep. Fortunately, we only had a few blocks to go. She was amazed as the five of them trundled through to the back yard with their packs. They were amazed when they saw the little 25 foot long twelve-foot deep pool. Nice and cool. 70 degrees. Just right for bringing the body temperature down. Cherries, blueberries, olives and drinks emerged from their packs. Four of them transformed into swimming attire and leapt into the pool. Then amidst the laughter, chatter, and screams of delight emanating from the pool, a friend of mine Trapper, appeared. Trapper joined in the conversation listening to their stories, asking questions, and informing them about the local fauna. Trapper has been trapping muskrats in Fall River for more that thirty years. PCT hikers in general are a fascinating group of people. Generally, young or old, they are very positive, adventurous, well-educated, and idealistic folks. 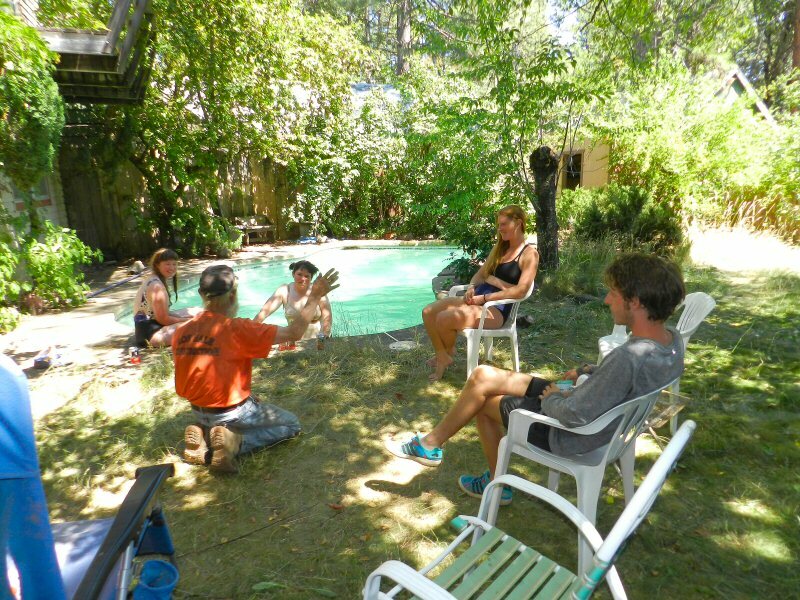 Each of the five hikers relaxing in our back yard was an outstanding person with their unique talents and tales. Little Spoon grew up in the inner city in London. He quit school when he was 16 and became a model. His modeling career took him throughout much of Europe and even on a shoot to South Korea. By the time he was 18, he had earned enough money to take some time off and decided to go to the Andes in South America. He visited Machu Picchu. He worked for a month in an orphanage in Peru and then spent two weeks in a mountain town in Bolivia. A friend of his spent time in a monastery in Thailand and he is thinking of going there himself. “If you go to Thailand and go to a monastery, they will take you in,” he told me. I told him that back in the 1980’s I traveled around the world in a program called Youth Seminar on World Religions and we had a four hour meeting with the Supreme Patriarch of Thai Buddhism. When he learned that I had written my Masters thesis in the seminary on Sufism, he was fascinated and asked for a fairly detailed explanation. He also told me that his father likes cycling and they may go cycling together in the Himalayas. Hiking the PCT trail is his first experience hiking. His hiking partner, Princess Layers is studying psychology. She has attended several universities in Australia and already has three degrees. She said she is about half way through her plan of study. Her study in psychology has been diverse, embracing behavioral studies, depth psychology from both a psychoanalytic and Jungian perspective, and cognitive psychology. What she hoped to do when she finishes her studies is to develop a therapy that gets people in touch with the healing energies of the earth and nature and also uses animals therapeutically. Quiz is a nurse. Pinecone has worked in Australia in urban landscaping. She would like to move to the United States and do work in that field helping to design parks and urban landscape. Mushy is a graphic designer. In addition, he is fascinated by crystals, so I gave him a small orange calcite pyramid that I had. Something not to heavy for the hike. When I finished, Quiz asked if she could sing a song so I passed the guitar and she sang a love song named “By the Falls.” Then she and her sister together sang a camping song. After we had sung, Linda brought out and showed some of her photographs of animals which everyone enjoyed. The young man North Carolina said he had a pointer very similar to the dog in one of her pictures. It was all a lot of fun and time passed quickly. Little Spoon and Princess Layers needed to get to the park because they wanted to hike to Rock Creek Falls before dark. Pinecone, Quiz, and Mushy wanted to get to Burney Guest Ranch for the night so they could get up early and begin the hike over Hat Creek Ridge to Old Station. 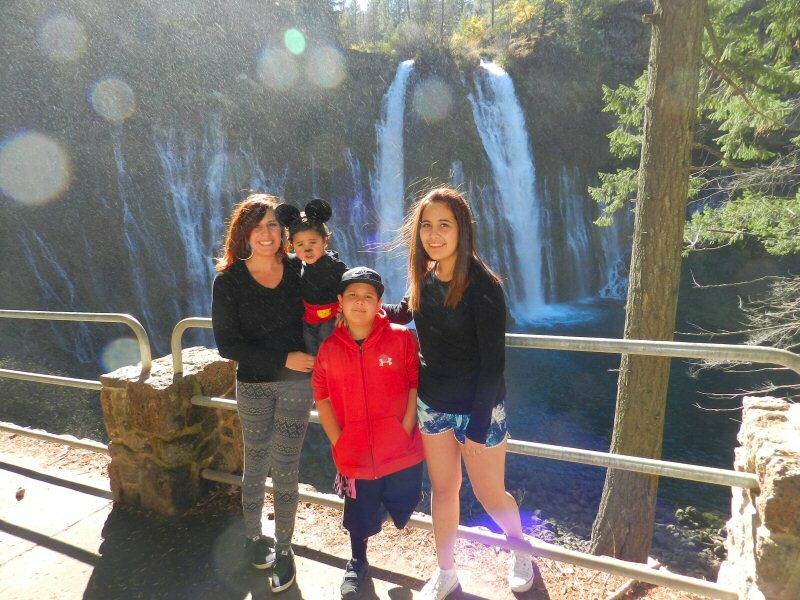 I drove Little Spoon and Princess Layers out to Burney Falls Park first and then returned and took the other three to the guest ranch. 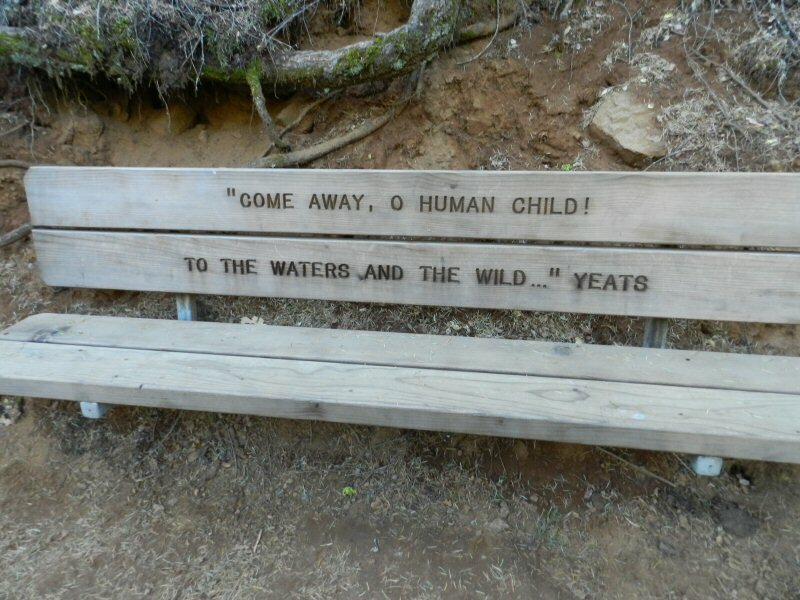 When we arrived they saw another hiker they knew. Several more hikers and packs were on the porch. The owner Linda came out to welcome them. After hiking south to Chester the trio plans to skip back to Ashland to reunite once again with Little Spoon and Princess Layers and continue their journey north to Canada together. 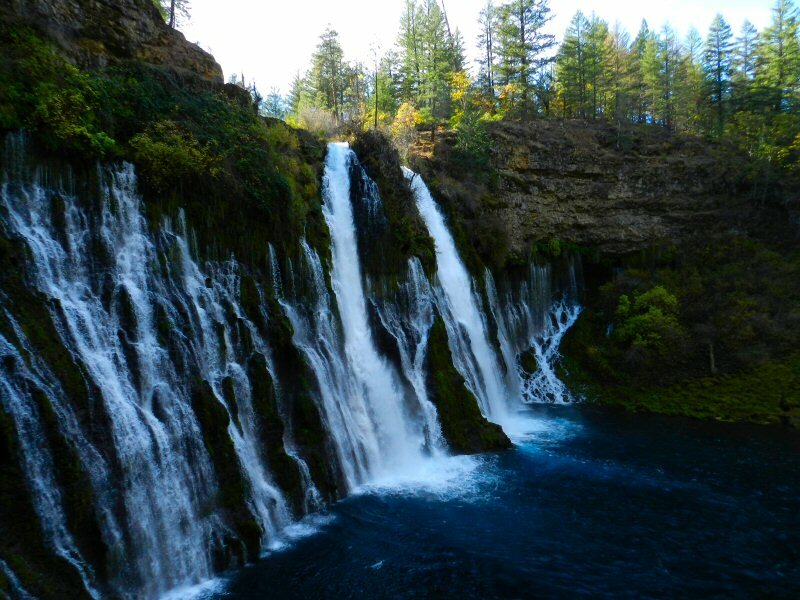 On Monday June 26, Linda and I stopped into Burney Falls Lodging to talk in with 2016 Honorary Mayor Nancy Bobo. 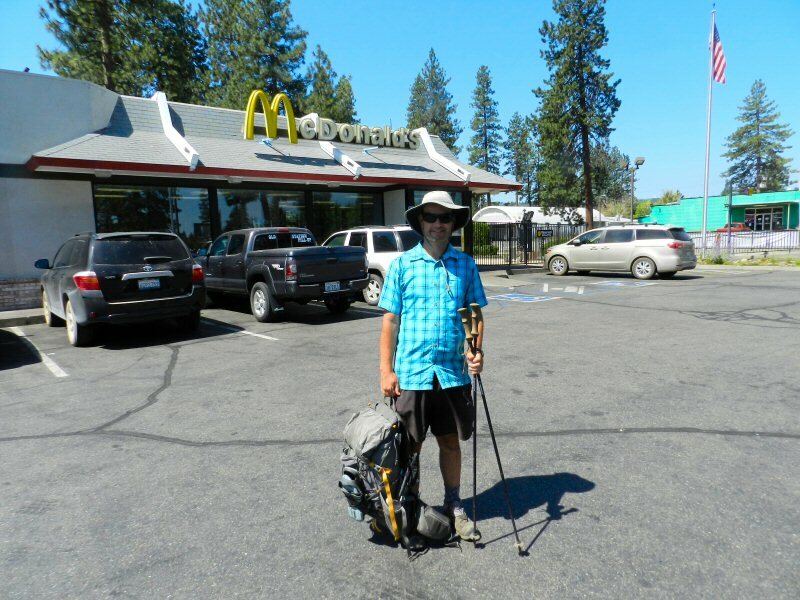 As we were driving out, we saw two Pacific Crest Trail (PCT) hikers coming out of the office with their packs. 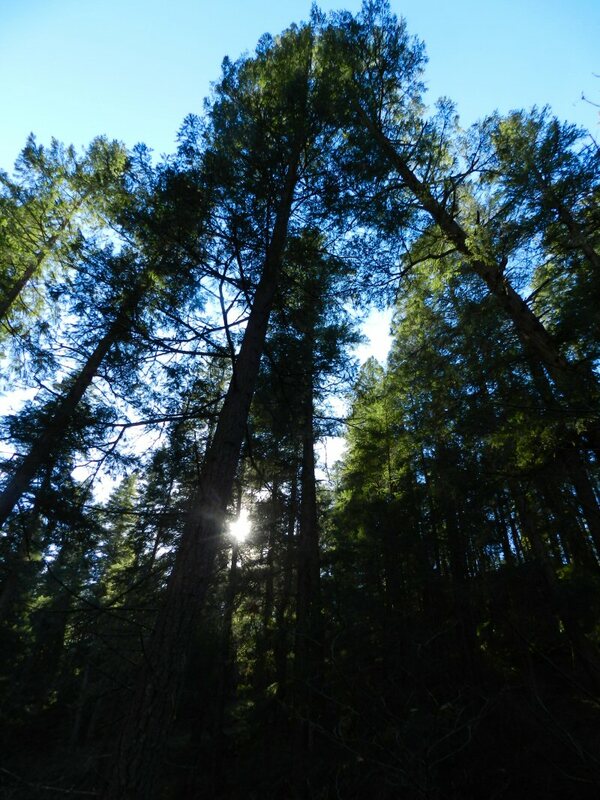 I had only seen a few hikers this year and as yet hadn’t talked with any so I stopped to ask them about their experience on the trail. Their names were Pecan and Walnut. 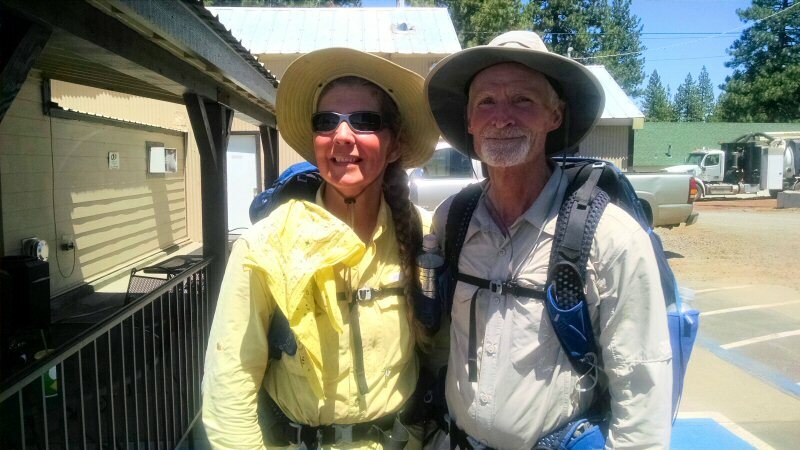 They came from Illinois to hike the PCT and they have been married for 37 years. They began their hike on May 5 at Campo near the Mexican border and hiked through the desert area of Southern California. At Tehachapee one of them took a break and the other continued on to Acton. Then they took a break and went to San Diego for a rest. 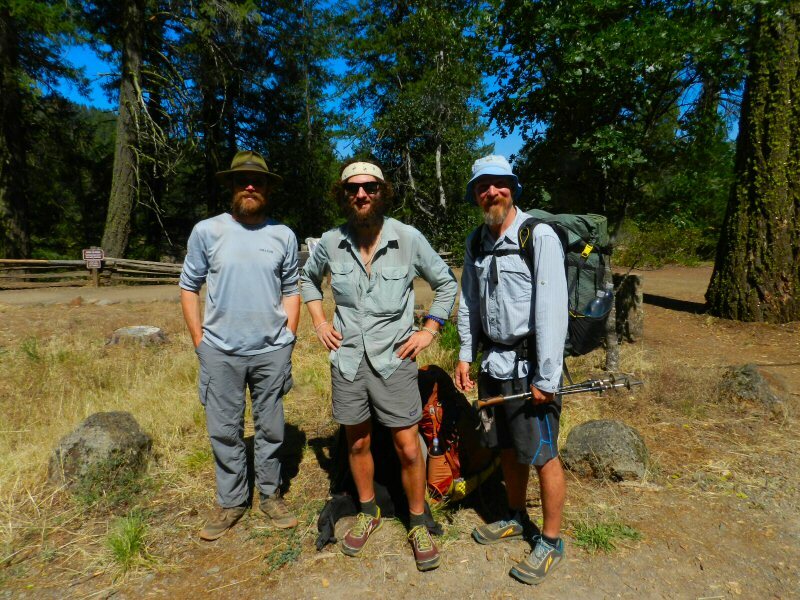 After they had rested and recuperated, they skipped the Sierras and started the trail again from mile 1232 near Quincy. This year there is still a lot of snow in the Sierras. 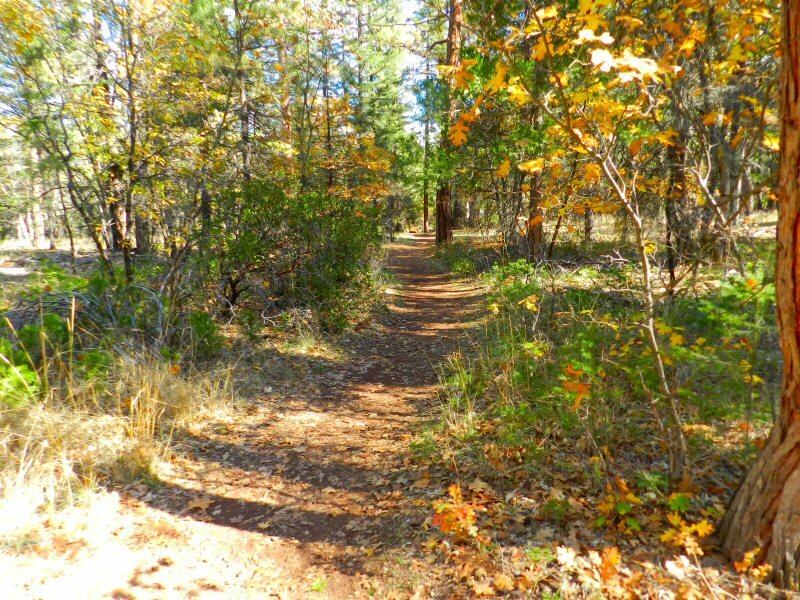 (See Pacific Crest Trail 2017 site on Facebook). It is still very dangerous to hike through because of avalanches and flooding rivers. According to Pecan and Walnut, most of those who have attempted so far are Europeans who are determined to thru hike the entire trail. They told me that there have been numerous rescues this year. Many are skip hiking, hoping to complete the trip to Canada and then perhaps to come back and hike the Sierra portion later in the summer. Pecan told me of one veteran who had just returned from a tour in Afghanistan. He thought that after serving in the mountains there he was ready for anything. He was carried 400 feet down mountain by an avalanche and almost lost his life. That narrow experience convinced him that the PCT Sierra stretch was too dangerous to cross this year. Pecan and Walnut have been checking the snow map as they look forward. There are areas to the north in the Siskiyous and the Cascades that still have a lot of snow. So we see, each year the trail is different. Two years ago, during the drought, there was little snow in the Sierras and hikers were able to hike through. Last year, the snow impeded progress in the Spring, but by late June hikers were streaming through. Peak season in the Intermountain area from Lassen to Shasta extended through July into early August. To make it to Canada before the next winter snows set in hikers need to maintain a steady pace. Even in the areas where the snow pack is hikable, deep snow may slow the pace from a normal 20+ to seven miles a day, so it will really be a challenge for hikers to reach Canada by late September. Since talking with Pecan and Walnut, I have begun to see more hikers. Traffic is picking up. I’m eager to hear more stories. A short video of Garett Costello and Kayla Trotter introducing their new business Intermountain Adventures at the Burney Chamber of Commerce Meeting on April 11. The video includes interesting and informative question and answer with Chamber members. 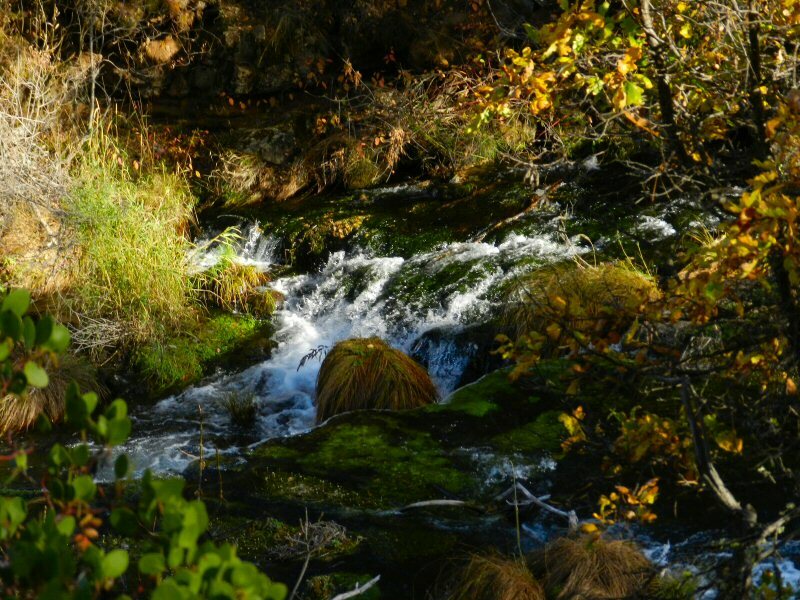 You can also visit the Intermountain Adventures website. On Friday July 21, as I was in the middle of writing about Burney becoming a Vortex of PCT activity, I got a call that three more hikers were waiting for me. I drove over to Burney Lodging to find three strapping young men waiting for a ride to Burney Falls State Park. One was Swiderman. Originally from Glenville, New York, Swiderman now resides in Taos, New Mexico. Skiing in the winter and hiking the PCT in the summer, he exudes the healthy exuberance of a year-round lover of outdoor activity. 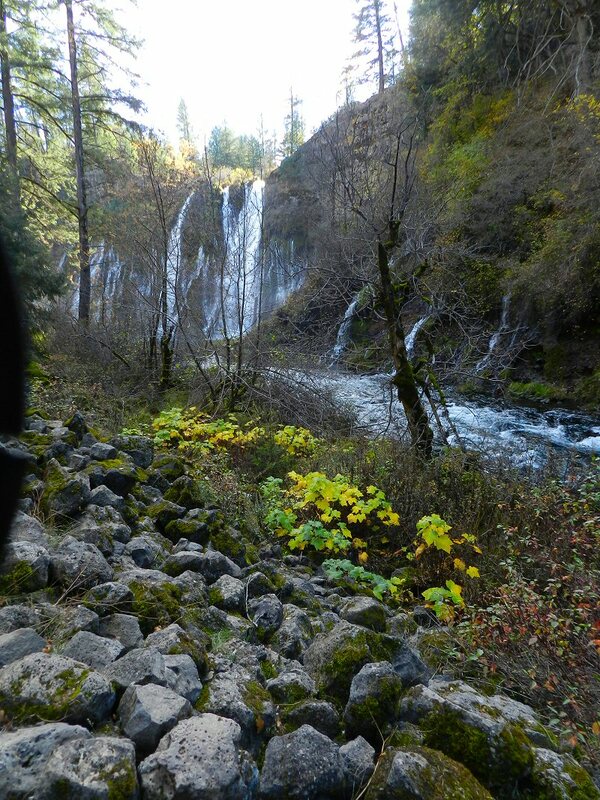 His hiking companions were Clammy from Seattle and Stormchaser from Mount Vernon, Washington. I told them about my excursion up to Hat Creed Rim to find Dilly Dally. As we drove out the park, I asked them what they were planning to do after they finished the hike. “Go back to work!” said Clammy. Then we passed a PCT hiker on the right side of the highway with his thumb out. As we entered the park, I found out that one of the youths from Washington (I think it was Clammy but maybe it was Stormchaser) was a fellow Husky alumni. I attended University of Washington from 1968-1970, just about the same time as his parents. I told them the story of how I drew number 1 in the first draft lottery in 1968 and then quit college to hitchhike around the country in 1971, giving up my 2S deferment. Because I was on the road and we didn’t have cell phones back then, I failed to receive a series of induction notices until I stopped to visit my brother in Silver Spring six months later. Fortunately, because I had sent the draft board Christmas cards over the years and a post card when I dropped out of school notifying them of my decision, they had delayed declaring me AWOL. I hitchhiked back to Helena, Montana and passed my physical in Butte in late November. Because of my high school tom-foolery, I also had to have an interview with a sympathetic Army officer who declared me “morally fit” to serve in the military. I also had a hearing with the 3-person draft board. Then, in the beginning of 1972, I was categorized as 4A when Melvin Laird declared that no one would be drafted for the first three months of the year. 4A meant “no longer being currently processed for induction.” Subsequently, Laird ended the draft as we shifted to a volunteer army. They enjoyed my little tale and history lesson. I pulled over and dropped them off at the entrance to the park amidst merry farewells. Driving back to Burney, I once again passed the confusing hitchhiker. He was on the other side of the highway so I couldn’t stop, but I turned around at the railway crossing and went back to pick him up. His name was Fred Wilkinson. He was from Tucson, Arizona. He is 42 years old and is hiking the PCT northbound. On this particular weekend, however, a friend of his was visiting Mt. Shasta. 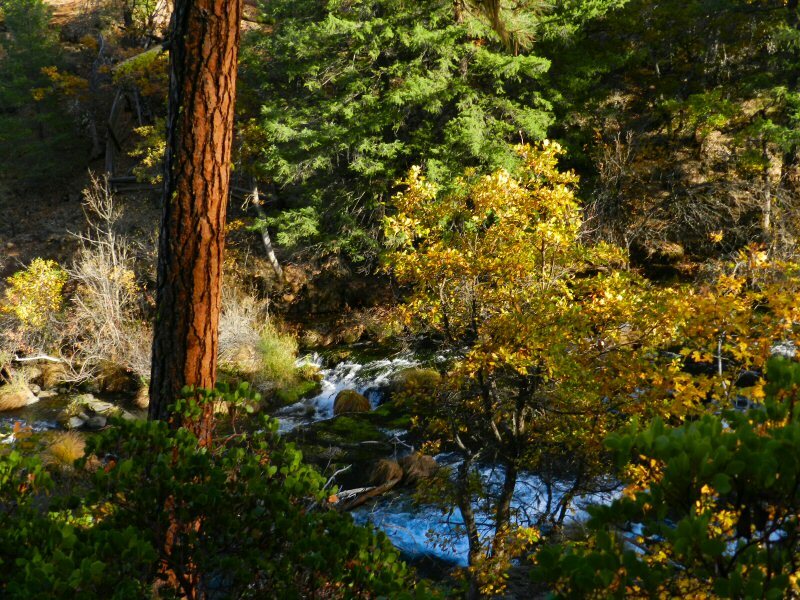 If he stayed on the trail, by the time he reached Shasta she would be gone. Therefore, he had decided to hitchhike up to Mt. 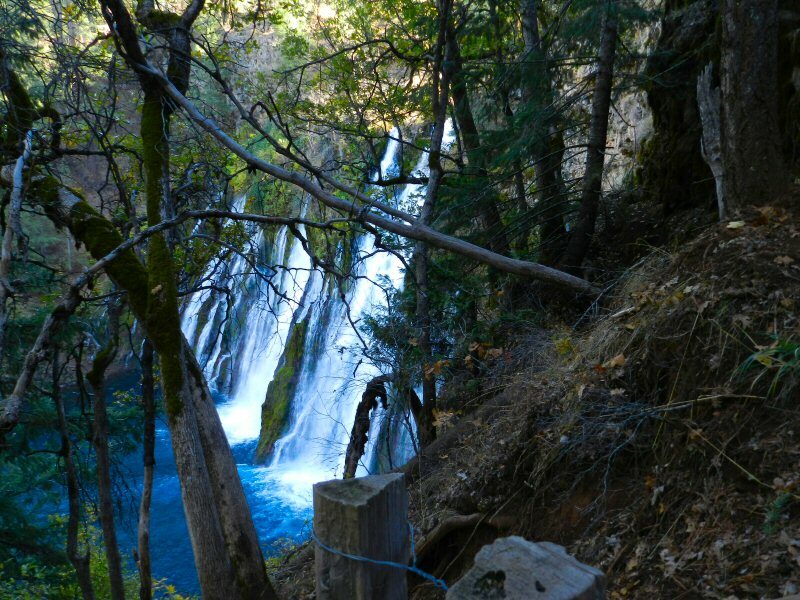 Shasta to meet her for the weekend and then hitchhike back to resume the trail at the 299 trailhead. Someone had stopped to give him a ride to Burney Falls. 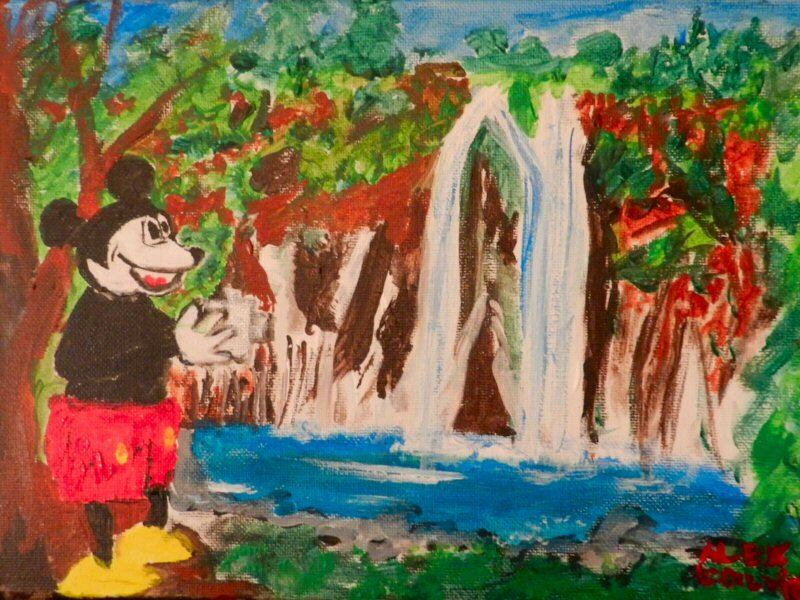 However, when he got to Burney Falls he thought that it wasn’t a very good place to hitchhike. That’s why he was walking back to 4 corners while he was hitching in the opposite direction. When I stopped to pick him up he was in the process of reconsidering his options. Perhaps, he thought, it would be better to rent a car for the weekend. So we drove back into Burney to see if there was anyone who could rent him a car. I went first to the oil change place because I thought that I had once seen something there about car rentals. The man at the car rental place referred us to Intermountain Auto repair in Johnson Park, Intermountain Auto had rental cars but only for people who were having work done on their cars. Renting a car In Burney was no longer an option. Fred was extremely nice and very grateful for my assistance. He asked me to let him off at the MacDonald’s. MacDonald’s has good Wi-Fi, so Fred planned to get something to eat, go online, and clarify his strategy for reaching Mt. Shasta. It was still early and he had plenty of time to reach Shasta by nightfall, which was his goal. I told him that I was pretty sure he could get a ride to Mt. Shasta from 4-corners. “Just don’t take a ride unless they are going all the way to Shasta. You might have to wait an hour or so before someone stops, but you will get a ride and then it’s only a little over an hour ride.” I advised. I haven’t seen him since, so I hope all went well and he had a pleasant rendezvous. Perhaps I will see him again this week when he returns to resume his northbound trek. 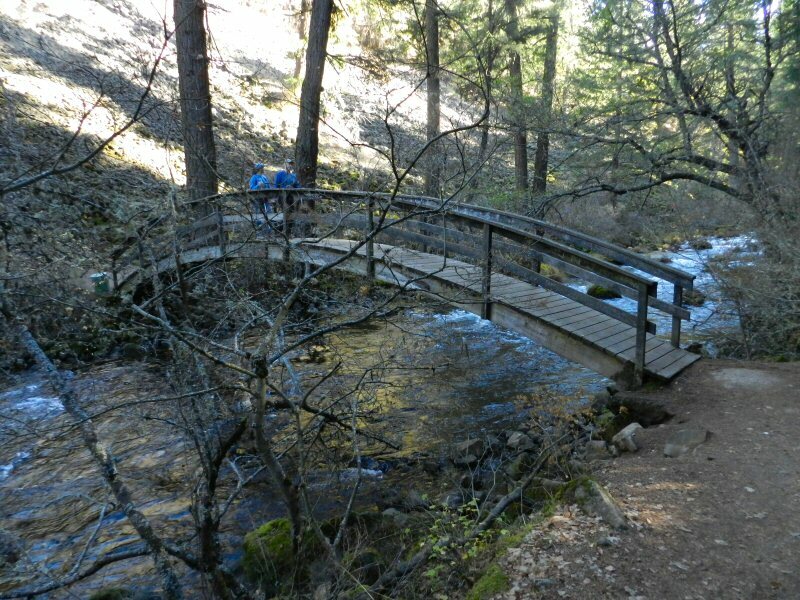 Hikers hiking the entire Pacific Crest Trail (PCT) are now coming through Pit River country. This morning at 8 a.m. I got a call from Burney Lodging. Two more hikers needed a ride to the trail. I threw on some clothes and drove over to pick them up. Two young American hikers were there waiting for me. They greeted me with big smiles and a handshake and gave me their trail names. One was 2 % from Rochester NY; the other was Pillow Talk from Seattle. 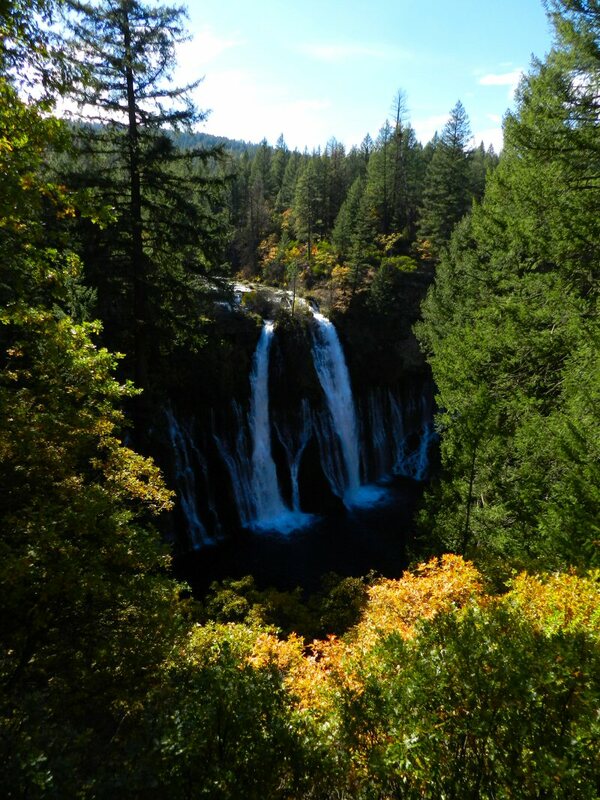 They had stayed overnight at Burney Lodging and wanted a ride to Burney Falls State Park. 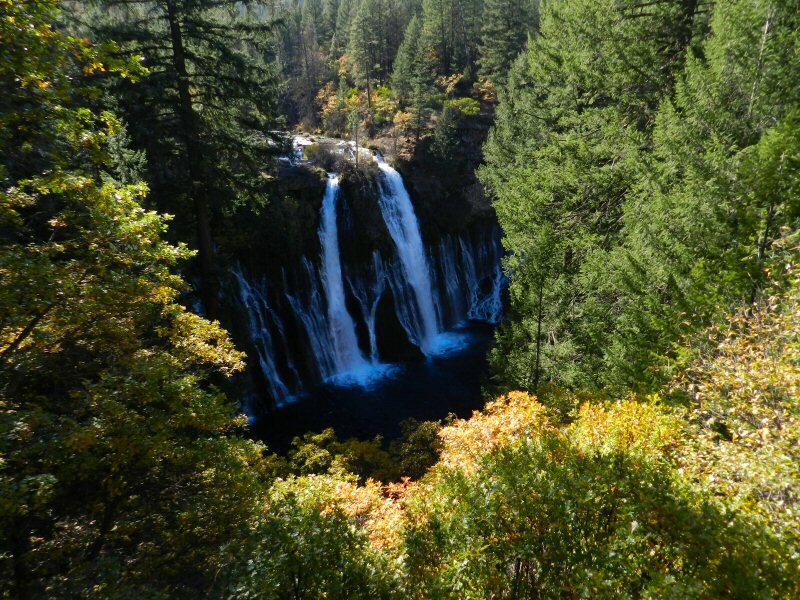 Burney Falls Lodging is a good place for visiting PCT hikers to know about because it has become the communication point for local PCT angels. Manager Nancy Bobo has been a long time supporter of the PCT. 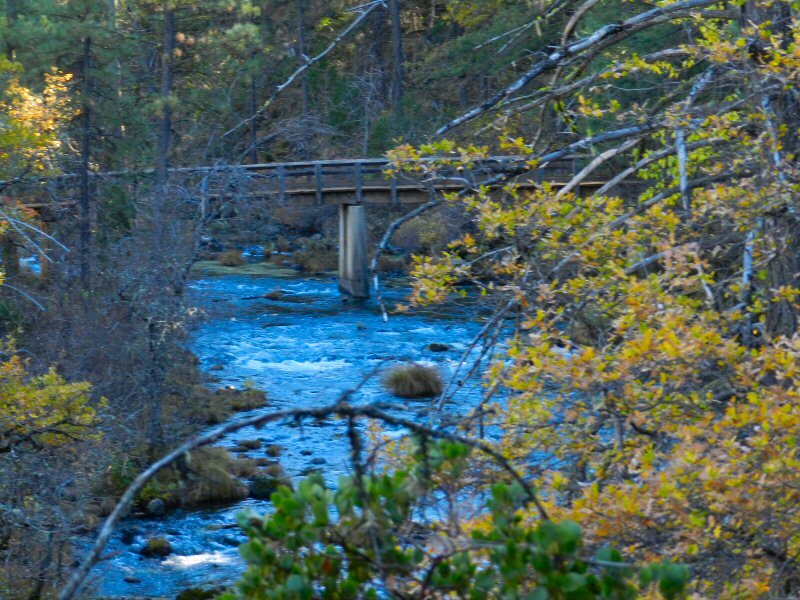 Burney Lodging has a list of angels who are willing to give rides to and from the trail and provide other help. 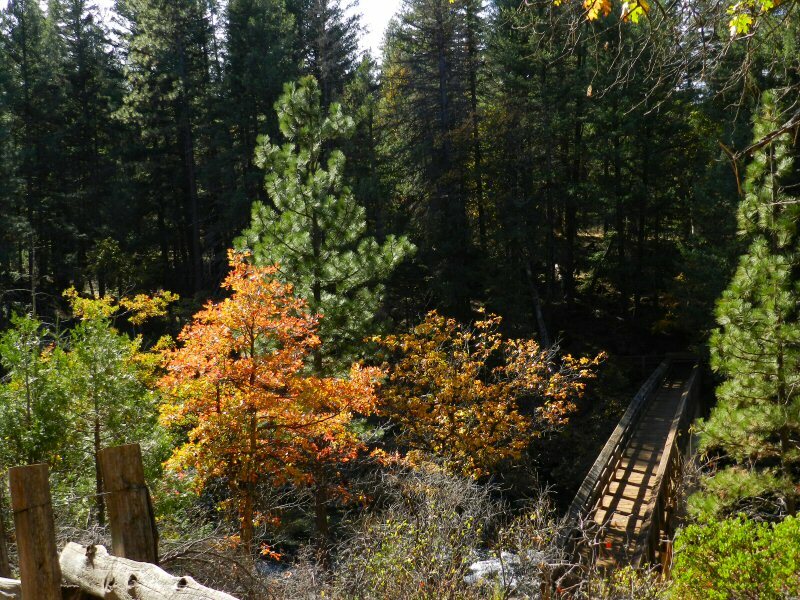 It is also a great place for people who want to meet hikers half way on their journey to come for a rendezvous. This was the second group of hikers I had met who had hiked the entire trail from Campo to Burney. The first was Royal Irish Ranger Donaju. Actually, 2 % and Pillow Talk had met Donaju further south. Previous hikers coming through had skipped large sections of the Sierras because of the snow. Now the trail is much more passable so a stream of hikers who had been log-jammed further south are on their way. Pillow Talk began his journey from Mexico on April 15. 2% began on May 8. 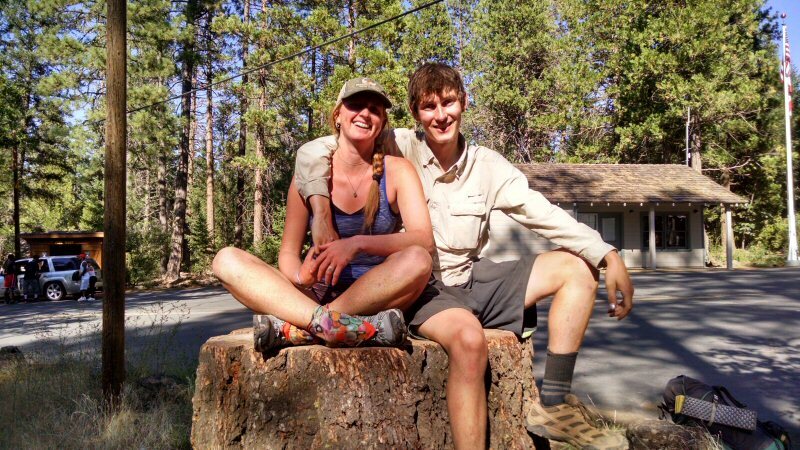 They met up around South Lake Tahoe and have been hiking together since then. Pillow Talk has an interesting perspective because he also hiked the trail in 2013 when there wasn’t very much snow. He didn’t hike the entire trail that year, but he did hike the Sierras so he could see the dramatic difference. 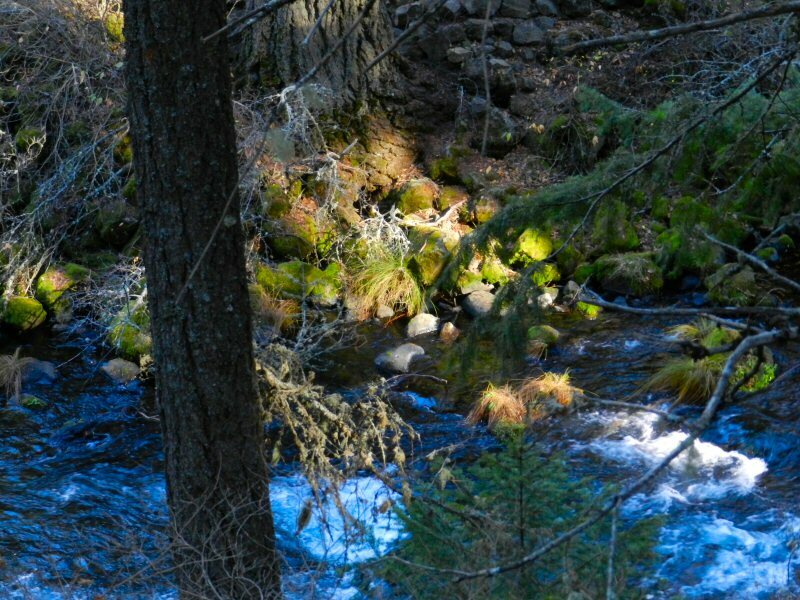 He said that he was able to hike about seven more miles a day in 2oi3 when the snow was sparse. As of now, north of Lake Tahoe the trail is pretty clear of snow. South of Lake Tahoe there is still snow but much of it has melted. Pillow Talk said that as the snow melts, it makes its own interesting snow topography that adds to the challenge of the hike. Portions of the snow fields melt faster than others, there are mounds and areas of snow around the big trees. The snowy areas are not level. There is a lot of up and down. “It takes a lot of energy,” said Pillow Talk. He also said that north of the Yosemite area some of the passes are challenging but it is well worth it to see the beauty of the snow-covered Sierras above the tree line. 2 % said he was able to follow all of the trail except for a few detours due to road closings. They said that they had seen one big cinnamon colored bear.